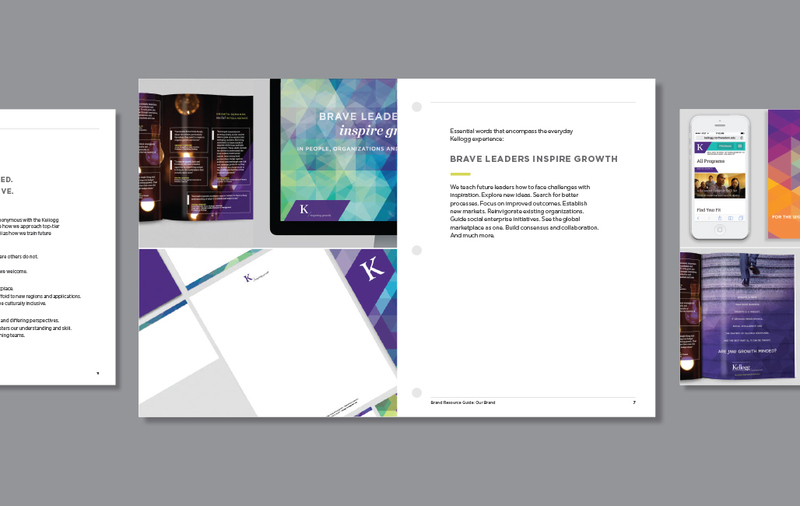 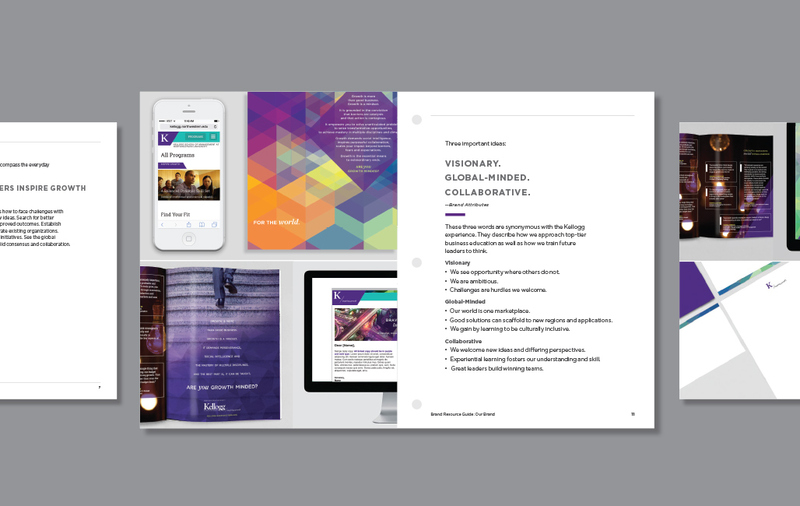 Smith designed the brand guide for Kellogg School of Management at Northwestern University, complete with web, print, social, merchandise and video standards. 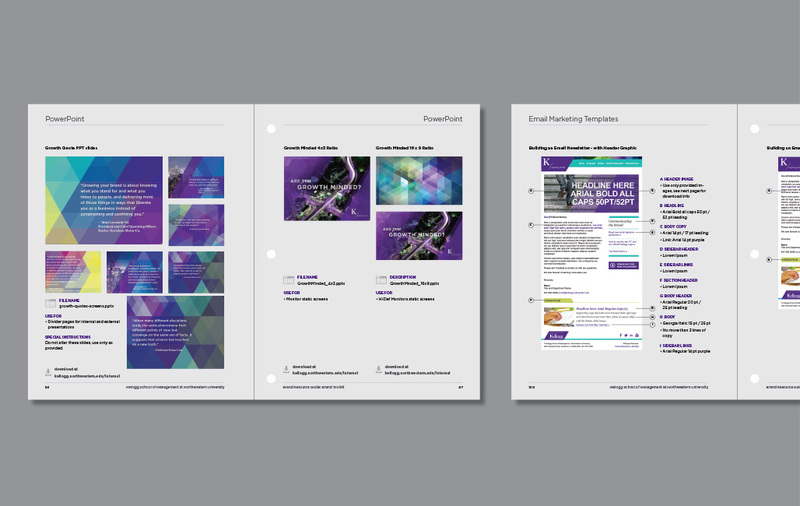 We clarified brand usage and hierarchy, conveyed the brand language, and systematized how different levels of messaging are expressed. 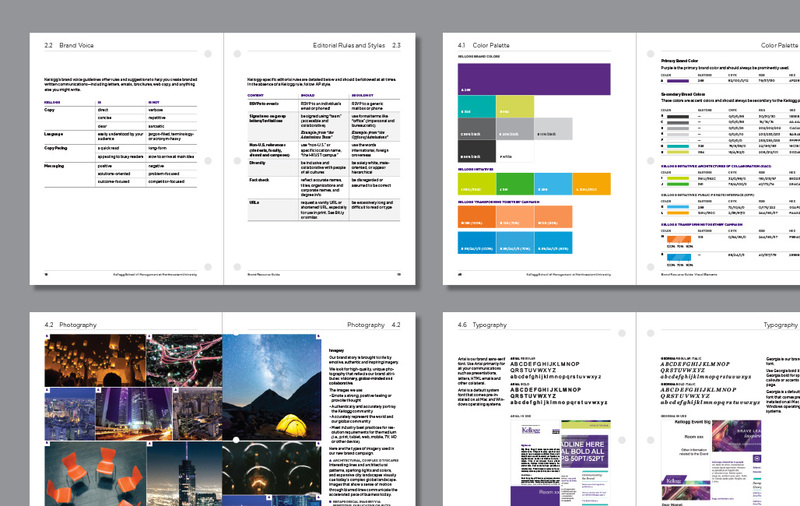 The print version has tabbed, three-hole-punched sections to enable easy and affordable section updates.